In her debut novel, Tiny Sunbirds Far Away, Christie Watson writes about Nigeria, oil industry, violence. The story is of twelve year old Blessing and survival of family through challenges people face in that corner of the world. The innocence which child’s narration brings into such serious issues makes it an amazing book. 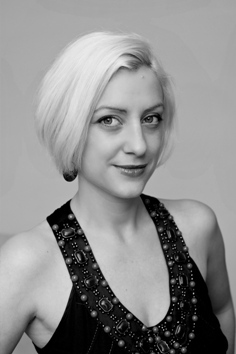 Christie Watson worked as a nurse for over ten years before joining UEA for her MA in Creative Writing, where she won the Malcolm Bradbury Bursary. We were curious to ask her few questions about her first book. CBF: Firstly, as an introduction to this interview, can you tell us a bit about your own experience with Nigeria, particularly the Niger Delta where Tiny Sunbirds Far Away is mainly set? Christie Watson: I first travelled to Nigeria over ten years ago after I met my Nigerian partner. I’d travelled to various other African countries before, and parts of West Africa, but nothing quite prepared me for how amazing a place Nigeria is. 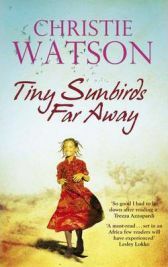 Tiny Sunbirds Far Away by Christie Watson is a novel set in Nigeria. The narrator is Blessing, a young girl whose privileged and comfortable life in Lagos ends suddenly when her mother finds her father with another woman. Blessing and her brother Ezekiel move to a village near Warri with their mother, in the Niger Delta, where the mother’s family live. Blessing is exposed to poverty and hardship, but also learns the strength of family. The storyline of Tiny Sunbirds Far Away is bounded by two major events, at the beginning and near the end of the novel. The first is the departure from Lagos, and then the ending is the culmination of everything which happens in between.